Park ya big truck, cowboy ! 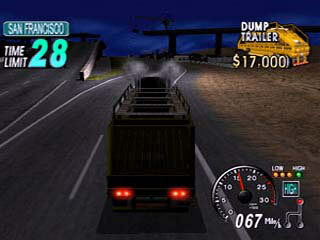 "Sega-AM2's off the wall arcade smash, 18-Wheeler: American Pro Trucker is rambling to the Nintendo GameCube for one heck'uva pit stop! 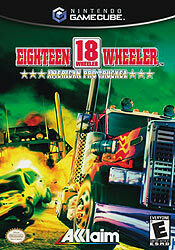 Get behind the wheel of a 60 foot long, 20 ton, 18-wheeled beast and buckle up as you haul tail from New York to California and everywhere in between in the most intense joyride of your life! 10-4 good buddy - Over and out!" 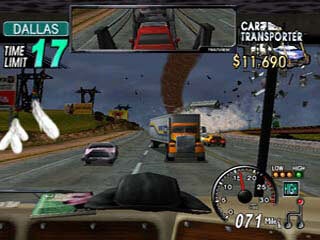 "- Exciting Arcade Mode and tons of twisted Mini-Games. 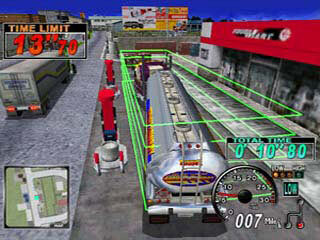 - Naomi-based technology plus the power of the PS2 provides unparalleled gameplay. 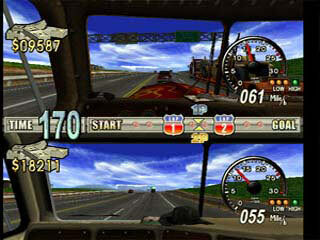 - Split screen 2 player Versus Mode, featuring 4 different raceways. - "Down home" audio, from ho-down Country music to CB prompts and taunts. - Multiple camera angles for maximum jack-knife action."